Homegoing Celebration for Sister Claudette Gaines will be held at Fairview Baptist Church on Saturday, April 20, at 11:00 a.m. Claudette transitioned early in the morning of April 11. 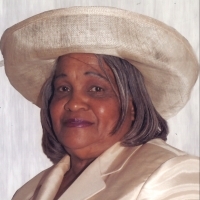 Sister Gaines was a long-tme member of Fairview, serving faithfully under the pastoral leadership of her brother, Rev. John A. Reed, Jr. She demonstrated her commitment to Christ and her church by working in various Ministries of the church. She showed great passion in serving others through her work with the Usher Ministry, Evangelism work and Mission work. Services are under the direction of Temple and Sons Funeral Home, 2801 North Kelley, Oklahoma City, OK 73111, 405-427-8321. You may sign the guestbook and leave words of comfort on Temple's website/visitations. You may view at the funeral home Friday from 10am - 7pm or at the church on Saturday from 10am - 11am. There will be no viewing following the service. Note: Family viewing is from 3 - 5pm on Thursday. Open viewing will be allowed following family viewing period. PLEASE VERIFY OPEN VIEWING TIME WITH THE FUNERAL HOME, 427-8321.